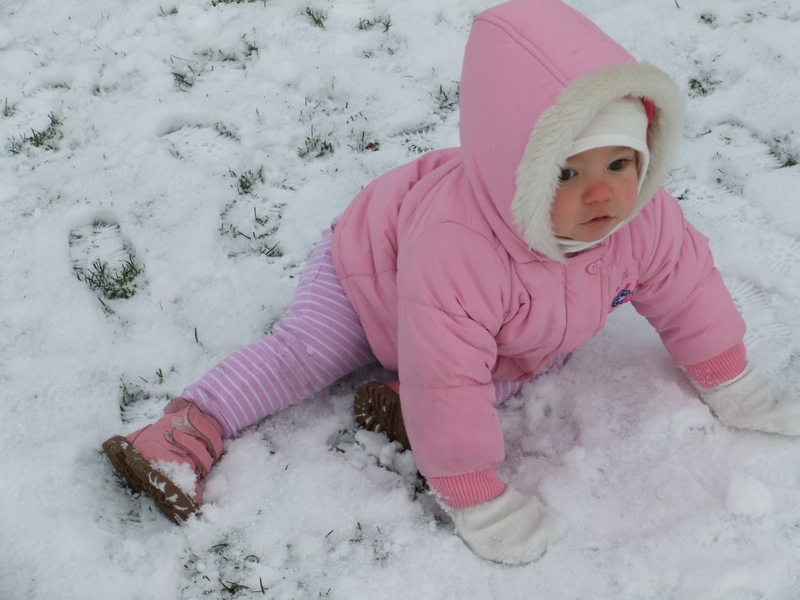 Tori saw a bit of snow last year, but at just 5 months old she didn’t really get to experience it for herself. 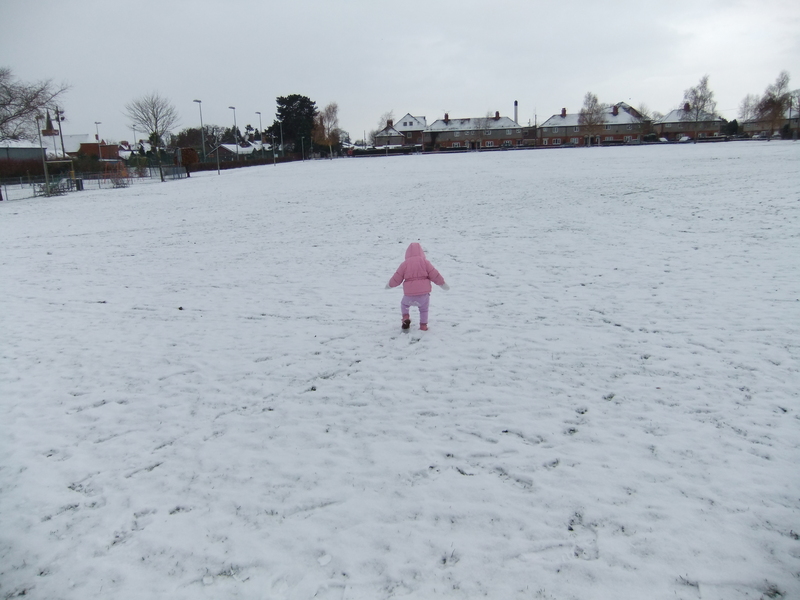 Just watch her mad mother out in Nannan’s back garden making a snow-turtle and wonder why everyone else was laughing (I have a mental age of about 6 when it snows…). Look, Mum! White stuff is falling out of the sky!! It squeaks when you stomp in it! I’ve got a cold bum now! Can I eat it, Mum? Hi Carole, What adorable pictures! 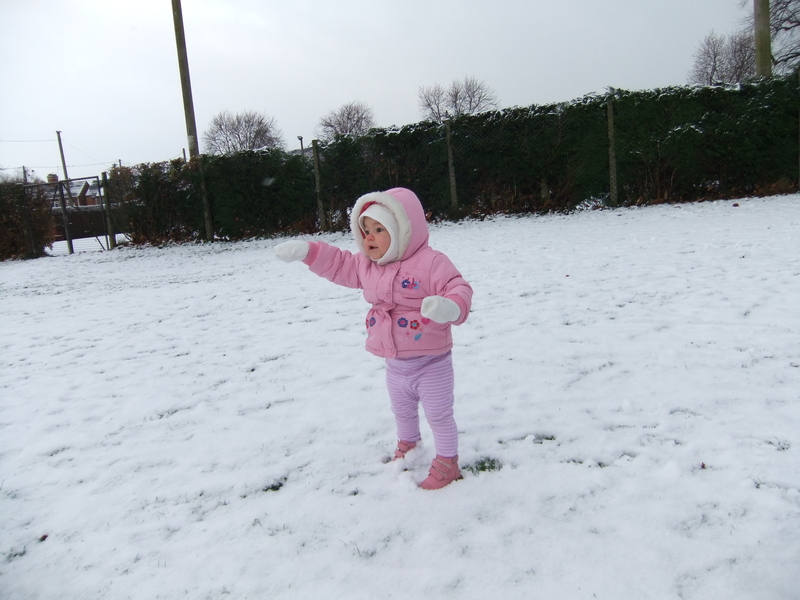 I remember Dan’s first photos in the snow last year – it’s so gorgeous watching their little faces light up in wonder. Haven’t managed to get out yet with both of mine – I need a few more hands. I’ll have to wait until the next lot of snow as it has gone all horrible and sludgy now.